With new interviews, poll tracking, random events, and more! do whatever it takes to become the President of the United States! If you've ever watched the U.S. elections and thought to yourself, "Even I can do better than that!" -- well, this is the game for you! Take to the campaign trail and win the hearts and minds of America's voters to take your place in the White House. The Political Machine 2016 is available TODAY! Own The Political Machine 2012? 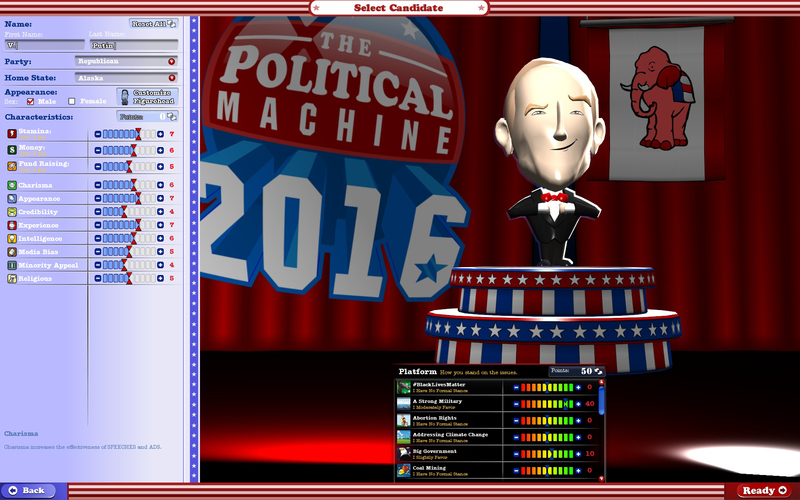 Upgrade to The Political Machine 2016 for $4.99 now! 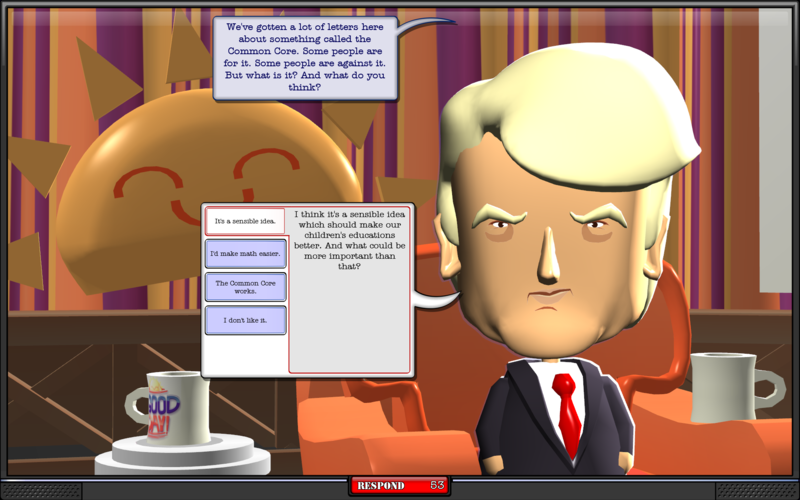 Play as one of several pre-made candidates like Donald Trump and Hillary Clinton. Torrid affairs, natural disasters, email scandals, and other random events can come out of nowhere and change the direction of your campaign for better or worse. Challenge a friend for the presidency in multiplayer mode. Gain favor with the public by interviewing on talk shows, navigate disastrous random events, and buy advertisements to gain an advantage over your adversary. Not a fan of the candidates? Create your own custom front runner and race for the White House. A sophisticated underlying simulation model uses census data and real issues to test your political savvy. With poll tracking and leaderboards, you can see how well people are playing as their candidates or what issues they are supporting over time.